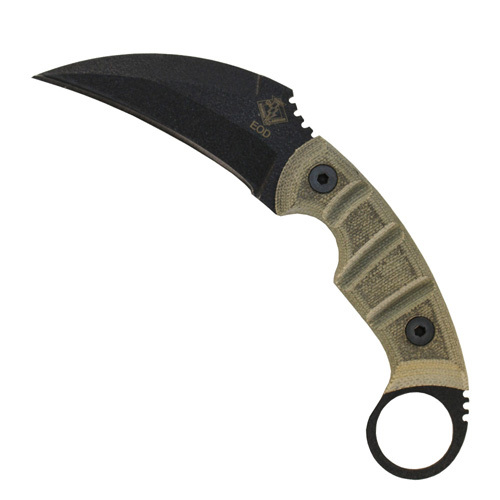 The Ranger EOD is a heavy duty Karambit knife. Justin Gingrich, the designer of the Ranger knife series collaborated with Marine Corps EOD unit for their input on the Ranger EOD knife. The Ranger EOD has a blade thickness of 0.250", black powder coated 5160 steel and sculpted black micarta handles that gives this knife an amazing look and feel. Add a black kydex sheath and the legendary quality and toughness of OKC and Ranger and you will have a tool that will last a lifetime.